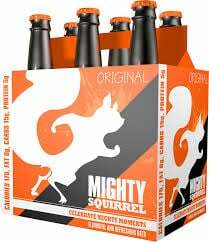 One of the first protein beers on the scene was Boston's Mighty Squirrel beer. The creators of Mighty Squirrel were coworkers who loved to play tennis, and loved to celebrate with a brew afterward, but knew they needed something a little healthier after that tennis match. They put their heads together and came up with their own personal brew. Hence, protein beer was born. So, why should you give protein-enhanced beer a try? Beer is already plant-based, so it contains a number of naturally occurring nutrients that sports drinks do not. Beer already has enough carbs and electrolytes to replenish what you lose during a workout, too, and with the extra protein, you could be better off. Plus, anyone who works out will love the fact that the hops in beer help to keep muscle from deteriorating: so you will definitely want to have that protein beer after a workout! Protein-enhanced beer is loaded with 'B' vitamins, which are extremely heart healthy and can protect against colon cancer. Aside from that, researchers are telling us that the antioxidants in beer can help prevent kidney stones and help prevent cardiovascular disease. Silicon, also found in beer, has been found to help prevent Alzheimer's disease. Silicon helps to prevent aluminum absorption in the brain, which is what aids in preventing this terrible disease. Another beer in this category includes Canada's Lean Machine recovery ale, which is being advertised purely to athletes as a recovery drink. The protein-infused beer category is quickly growing in popularity, with more and more craft brewers developing ales with more protein and lower concentrations of alcohol, perfect for an after workout drink (or for enjoying anytime you want something a bit lighter and healthier). So what do you think? The next time you and your friends are thinking of grabbing a sports drink after a run, would you consider trying a protein-enhanced beer? Leave your thoughts in the comments section below.